Welcome to my first competition! I have been selling these doorstops since I launched my own business nearly three years ago and they have been one of my top sellers ever since – hurrah! 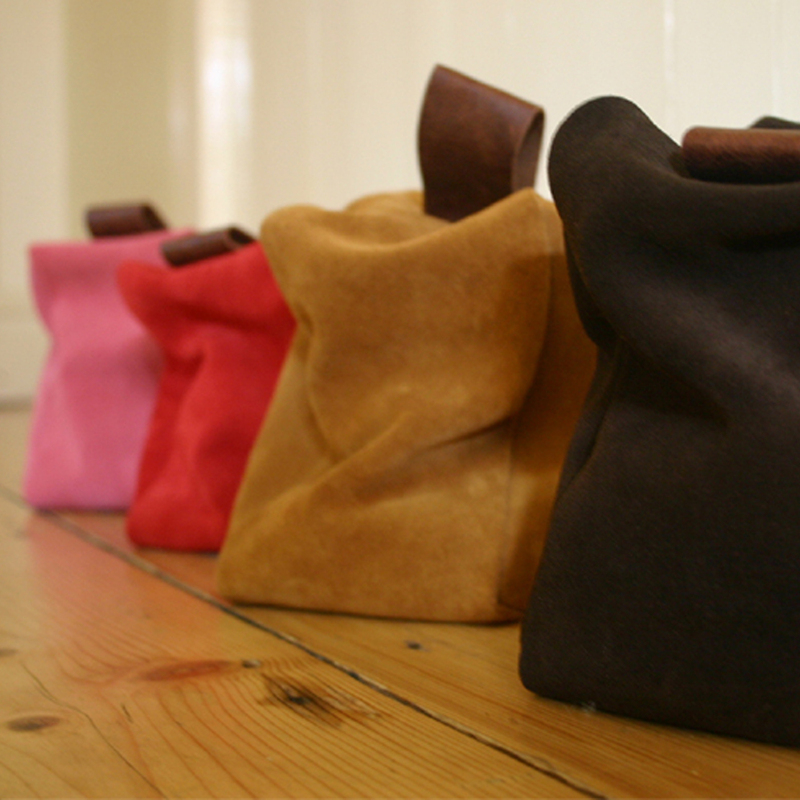 Each doorstop is made from top quality Italian suede and features a leather loop on the top so you can move it around if the mood takes you! They’re available in ten different colours so there is bound to be one to suit your decor. There will be two winners, one from the UK (you’ll get a filled doorstop) and one from elsewhere in the world (sorry you’ll have to fill your own doorstop as they’re just too heavy for international mail!). The two winning names will be randomly chosen at the begining of May. All you need to do to be in with a chance of winning is decide which is your favourite colour (have a vote below) and leave a comment on this post (letting me know if you are UK or not so I put you in the right draw). There are no catches (I’ll not make you buy anything from me to get your prize) and there is no shipping to pay. You can enter any time up to the end of April, so what are you waiting for…..get voting! They are all lovely, but I love the green one best of all. I am a sucker for that beautifully soft colour. Red red red all the way! My 4 year old always hides out wooden wedge door stop. He may have more trouble hiding one of these! great items in your etsy shop! i am a uk’er too. Very nice product! I love the red, but all of the colours are good. I’m in the US. I’ve been needing a doorstop for ages now! I love the purple colour and the luxurious feeling of the suede! Saying hello from Vancouver, Canada! Very nice product! My fave is grey! I am in Hong Kong. I voted red, I love that color! i voted for the mid-brown, but i would love to have one of each! i am in the us. From out of UK. Spain. I voted for the red one. Lovely. Hi! I’m from the U.S. I voted for grey…but they’re all pretty! Grey. You know i am obsessed with grey!. or red. But grey gets my vote. I voted for the tan, that would be nice with my decor and a bit brighter than brown that I might otherwise choose. They look fab, I’d really like one when my finances are better – I have several door stops, as living in an old cottage, doors don’t hang straight so don’t stay where you leave them – or rest half open. I’m in the UK. it would have to be the dark brown one. They’re very gorgeous. The green for me! Its a nice unusual colour plus I think it would hide the cat hair the best (clearly my cats will decide it makes a good bed/headrest).